Emergency Shutdown – SCRAM. A reactor “SCRAM” (or “reactor trip”) is the rapid insertion or fall of the control rods into the core to stop the fission chain reaction. 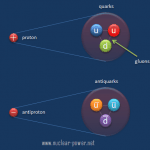 It is a key safety function of each nuclear reactor and usually does not need any power supply, since control rods fall only by gravitational force. Gradual Shutdown. Usually there is no need to stop the chain reaction promptly. 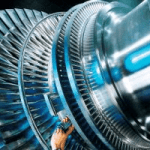 Shutdown is normally accomplished by gradual insertion of some (or all) of the control rods, or by introduction of soluble neutron poison (boric acid in case of PWRs) into the reactor coolant. Reactor thermal power is in the first instance decreased from 100% of rated power to about 10 – 30% of rated thermal power. 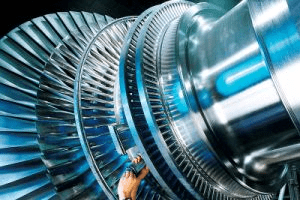 At this power level the turbine is disconnected from the electrical grid, while all the steam production is taken over by the turbine bypass system (TBS). 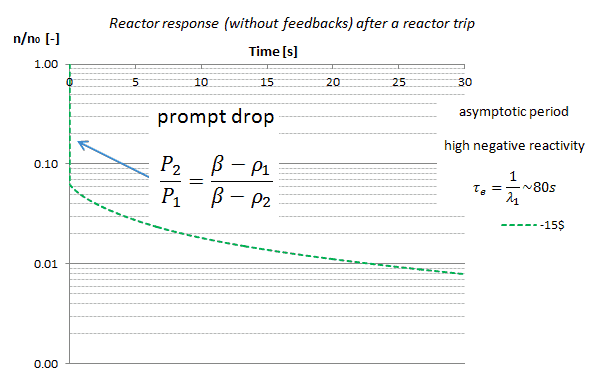 The reactor is now at zero electrical load and the thermal power can be decreased under 1% of rated power (to the Startup Mode) and the reactor dynamics changes to zero-power reactor dynamics. Further introduction of negative reactivity causes controlled exponential decrease in neutron power and after reaching shutdown margin (e.g. keff = 0.98) the reactor is in safe shutdown state. A reactor “SCRAM” (or “reactor trip”) is the rapid insertion or fall of the control rods into the core to stop the fission chain reaction. At PWRs, all control rods are usually inserted within two to four seconds. 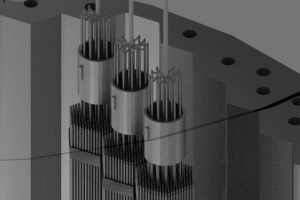 Control rods are an important safety and control system of nuclear reactors. Their prompt action and prompt response of the reactor is indispensable. 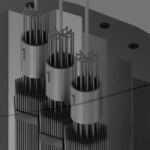 Control rods are also used for maintaining the desired state of chain reaction within a nuclear reactor (i.e. 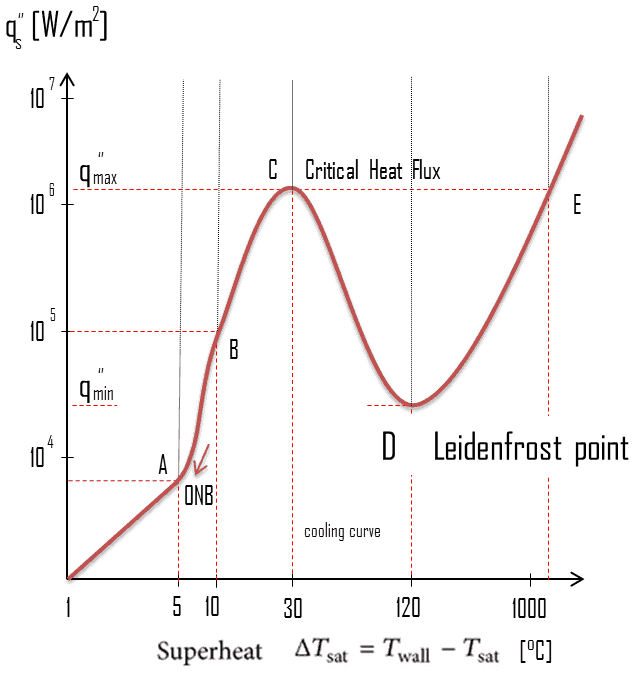 subcritical state, critical state, supercritical state). Reactor Trip System (RTS), which actuates a reactor trip, is a part of a Reactor Protection System (RPS). 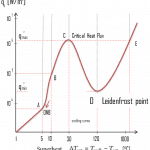 A distinction should be made between indicated reactor power level measured by excore neutron detectors after shutdown and the actual thermal power level. 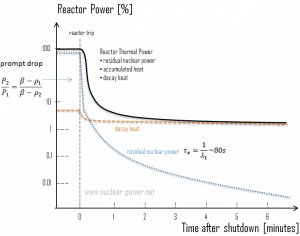 The indicated reactor power level, usually known as the nuclear power, is the power produced directly from fission in the reactor core, but the actual thermal power drops more slowly due to decay heat production as previously discussed. 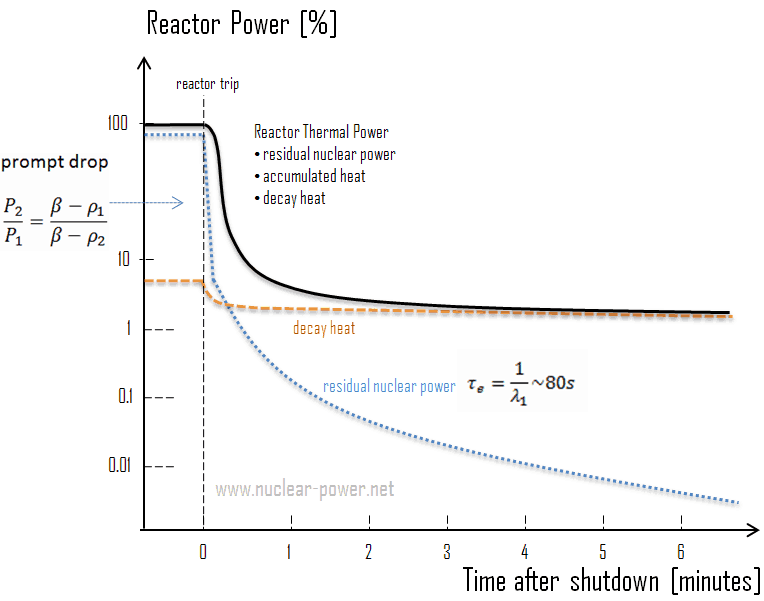 Decay heat, although approximately 5 to 6% of the steady state reactor power prior to shutdown, diminishes to less than 1% of the pre-shutdown power level after about one hour.